We, the WKCR Board, wanted to address any of the inconveniences experienced in using our stream. 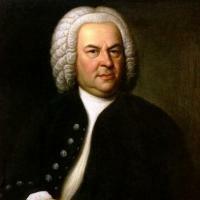 Unfortunately, our online stream regularly approaches maximum capacity during the Bach Festival. As we try to accommodate for more listeners, we implore anyone tuning in within our radio broadcasting range to tune in with a radio receiver. As for accessing our online stream, we recommend that you download the RealAudio Stream if your computer can support it. Otherwise, you can access our programming by downloading the MP3 Stream and opening the file using iTunes. Thank you very much for tuning into Bach Festival 2014! And remember that if you disconnect while not listening to WKCR, another listener can access the stream. Our apologies for any inconvenience.